Whether you are using your monitor for work or home, the GW2760HL's HDMI connectivity and built-in speakers give you the total package. 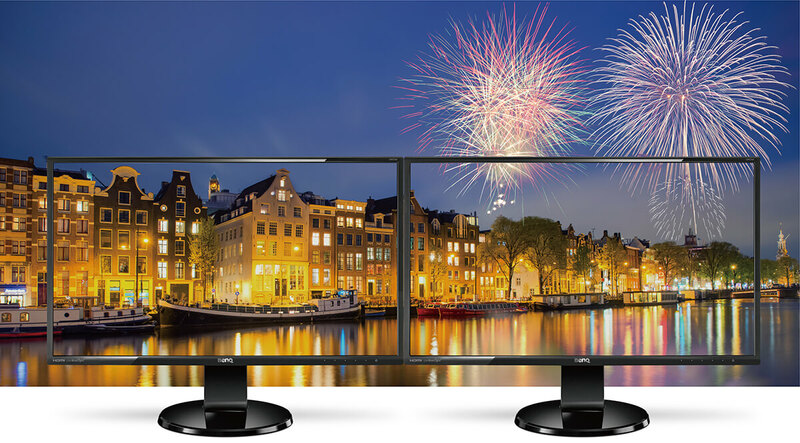 The BenQ GW2760HL brings truly authentic colors, deeper blacks, higher contrast, and sharper details. Embodying "less is more" minimalist design, GW2760HL delightfully complements any modern space. Every aspect of form and function is reduced to unify simplicity and aesthetics. Enhancing visual pleasure and optimal eye comfort with BenQ exclusive eye-care technology, GW2760HL celebrates minimalism and modern lifestyles as a gateway to everyday enjoyment for business and leisure. 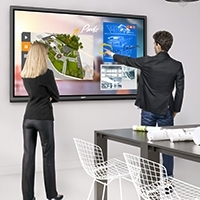 Exquisitely refined for home and office, GW2760HL offers expansive views with minimally obtrusive slim bezel design. 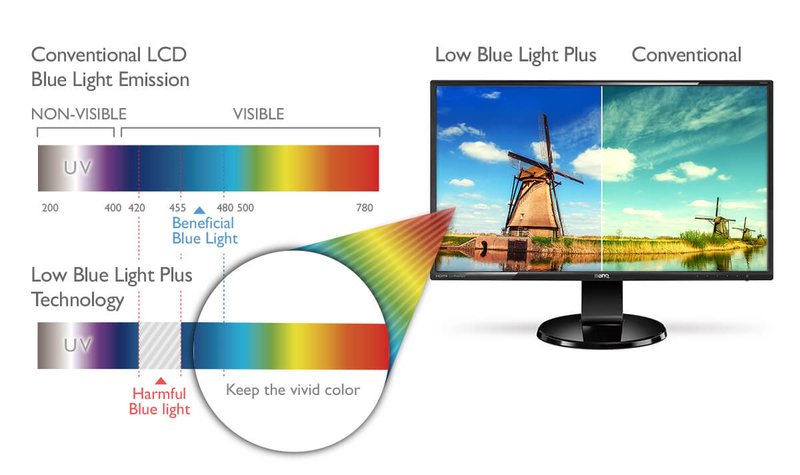 The blue spectrum light produced by regular computer screens is a leading cause of eye fatigue. 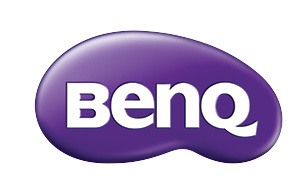 BenQ's GW2760HL comes equipped to help prevent the eye fatigue associated with blue spectrum light. With adjustable low blue light levels, you can increase your viewing comfort especially after long hours of usage. 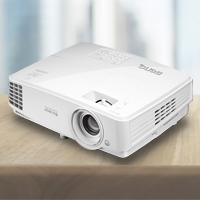 4 user scenario modes offered through Low Blue Light Plus technology are tailor-designed to bring the highest image quality and healthiest viewing experience for a wide array of user behavior. 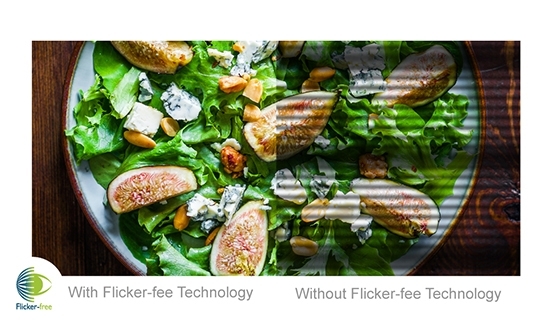 Flicker-free technology eliminates flickering at all brightness levels and reduces eye fatigue effectively. Conventional LCD screens flicker at the rate of 200 times per second. Your eyes may not see the flickers but they can certainly feel them. So relieve your eyes from the uncomfortable flickering effect by switching to a BenQ Flicker-free monitor. 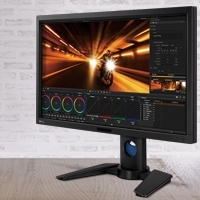 With the ability to render 16.7 million color shades simultaneously, you can expect true color performance, silky transitions, and impeccable image quality.